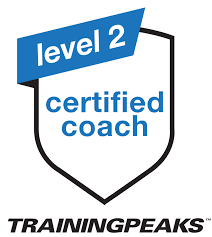 If you are interested in either improving your cycle racing, targeting a specific race or just maintaining your cycling fitness I can provide a coaching service that will benefit you, regardless of your ability and experience! From beginner to advanced. The advantage of the coaching service I provide is that I ride with all those I train. I also ride to your ability – fast or slow, recreational or elite. In addition, not only is your training programme ‘live’ (internet based), but it is updated weekly. An overview on your programme indicates the direction of your training, but your day-by-day training schedule is adjusted according to how you are feeling and your training is going. Initially we meet to get to know each other, discuss expectations and level of commitment, and tailor a coaching package to suit your need with no obligation of cost. You will either be physiologically tested at the University of Canterbury Sport Science and Recreation Services (for those athletes interested in scientifically gauging improvement in performance from coaching), or perform a time trial to benchmark your current physical ‘form’.